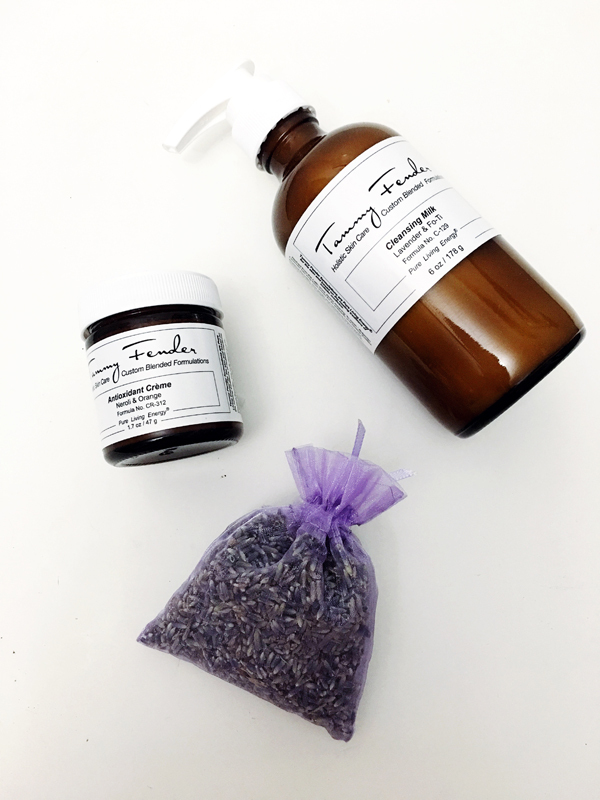 Tammy Fender is committed to helping clients experience beauty and wellness that radiates from within with 100% botanical formulas crafted to enrich, purify and protect skin. The flowers and plants used to create their formulas are organic, food-grade ingredients that are simply bursting with Pure Living Energy® – the life force that emanates throughout nature and permeates our being. 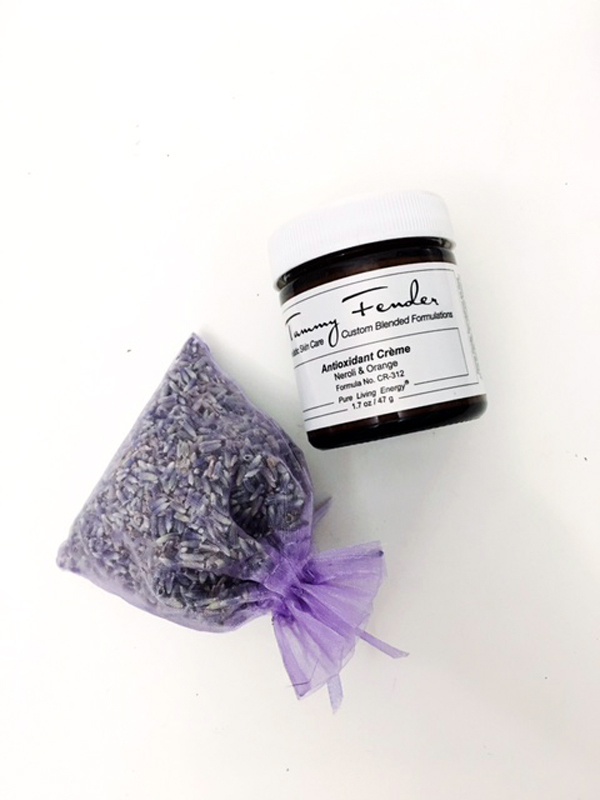 Every product in Fender’s collection reflects Tammy’s passion for the ancient tradition of holistic medicine, and each is meticulously designed to promote wellness not only on physical plane, but also on the emotional and spiritual levels, taking into account the person as a whole. Two of my favorites from Fender’s line include the Cleansing Milk and the Antioxidant Crème. 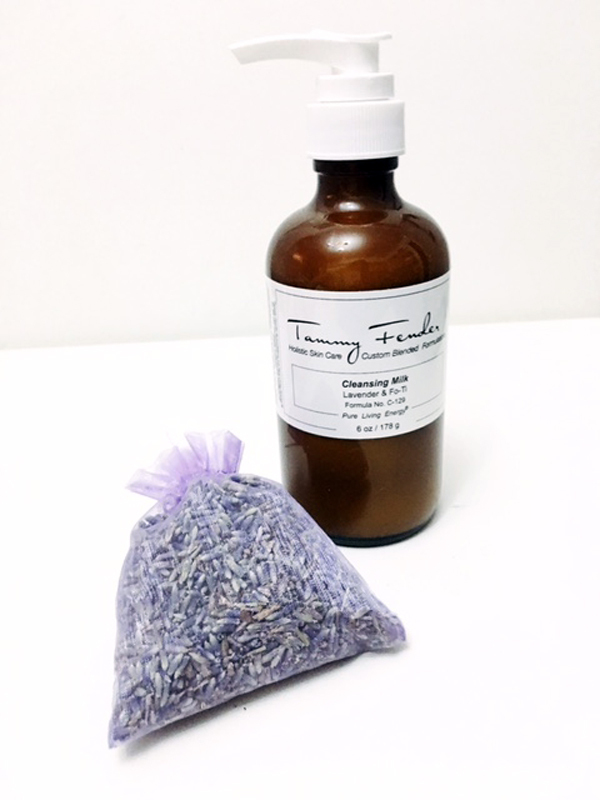 The Cleansing Milk is gentle and refreshing, combining the soothing qualities of Lavender and the purifying properties of Fo-Ti to effectively cleanse and decongest the skin while promoting the circulation of chi (energy), leaving the complexion soft and radiant. The Crème is a multi-vitamin-in-a-jar is prized for its nourishing, anti-oxidant and collagen-stimulating benefits. Neroli helps heal scar tissue, improve elasticity and balance overactive sebum. Calming and grounding, sweet orange enhances the skins immunity and hydration while plant butters moisturize and naturally filter UV light.